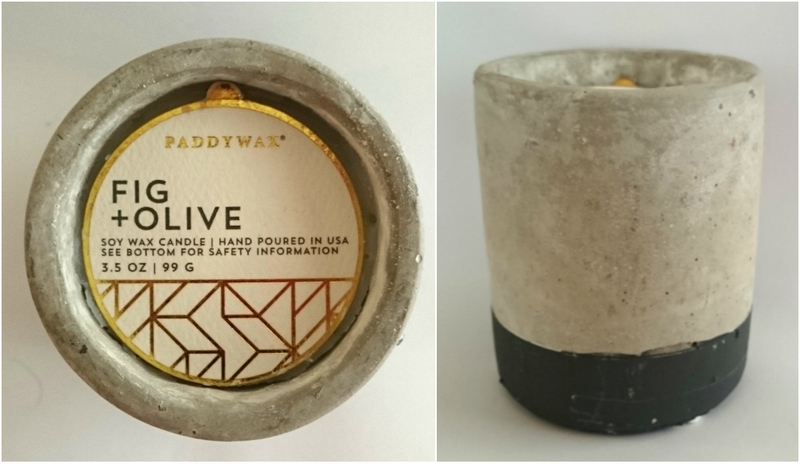 Our friends at The Fragrance Lounge kindly sent me a couple of candles from the Paddywax Urban Collection, which you can read about HERE. The first one I’ll be reviewing is a Fig & Olive 3.5oz/99g candle. It’s taken me so long to do this first review because I’ve been really savouring this candle. Fig & Olive is described as a Mediterranean medley of enticing fragrances. The rich fruity aroma of freshly picked figs blends beautifully with the fresh herbaceous scent radiated from the leafy branches of an olive tree. The overall aroma is deep, fruity and truly irresistible. You know how much I love masculine aromas, well this is probably the sexiest mandle type fragrance I’ve ever had. It’s a really deep, dark and mysterious scent, there’s so much to it. The fig gives it a luxurious and fruity element, and there’s definitely some woody and musky notes in it too. I was a bit unsure about the olive in this, as I don’t think I’ve ever had an olive based candle before but it really just gives it an earthiness. I think I can smell amber in too, which gives some extra warmth to the fragrance and helps blend all the elements together. I had so many people comment on this candle when I had it burning, the fragrance really filled our home and quite quickly too. I would usually burn it for about an hour or two but you could smell it everywhere after about fifteen minutes, for a small candle it was mighty powerful! I had mentioned that I was really savouring my candle and by constantly trimming the wick I’d say I got easily a whopping thirty hours out of it. So impressive! I’ll definitely be buying a large version of this candle, not just cause the candle is AMAZING but I love the concrete vessels and I want them all over my office. I like how unique and fabulously flawed they are. Paddywax like to encourage their customers to recycle, reuse and rekindle their vessels when the last flicker of light has gone out. These concrete ones would be perfect for plants, to store everyday odds and ends, or to look after personal treasures and trinkets. I’m going to use mine for paper clips on my desk. Super cute eh?! 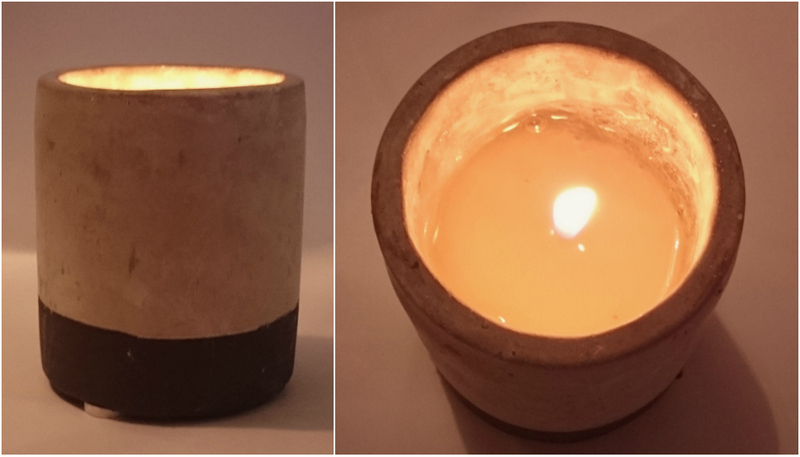 If you haven’t tried Paddywax soy wax candles yet, you really should. Apart from being so well made and Eco-friendly, they have an unreal scent throw. Stay tuned for more reviews from us and if you’d like to view all that Paddywax has to offer or find your nearest stockist, check out The Fragrance Lounge and be sure to follow them on Facebook, Twitter, Instagram and Pinterest for all thing home fragrance related. You can also find Paddywax at Boots, I think that calls for a SHOPPING SPREE! The Melt Crowd from Flamingo Candles Review – July – Pool Party!